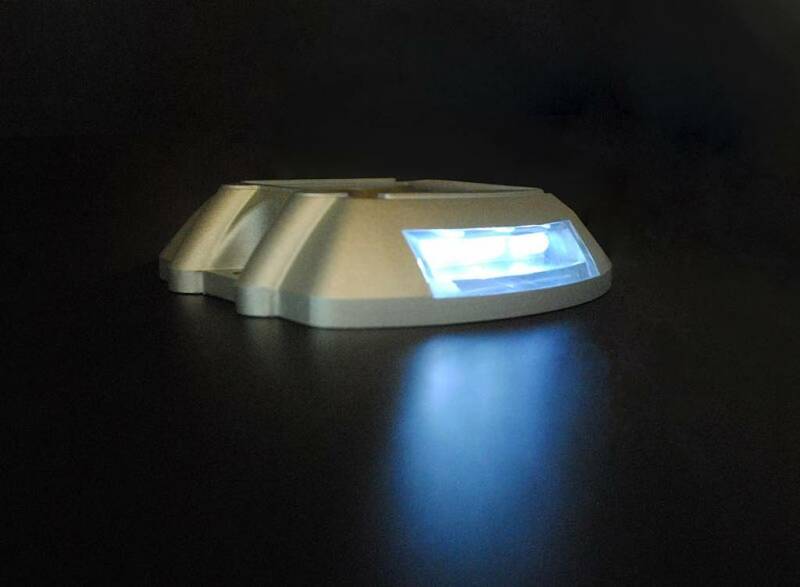 This autonomous LED-road-reflector (Cat's eye) is very practical when you want to light a road marking. 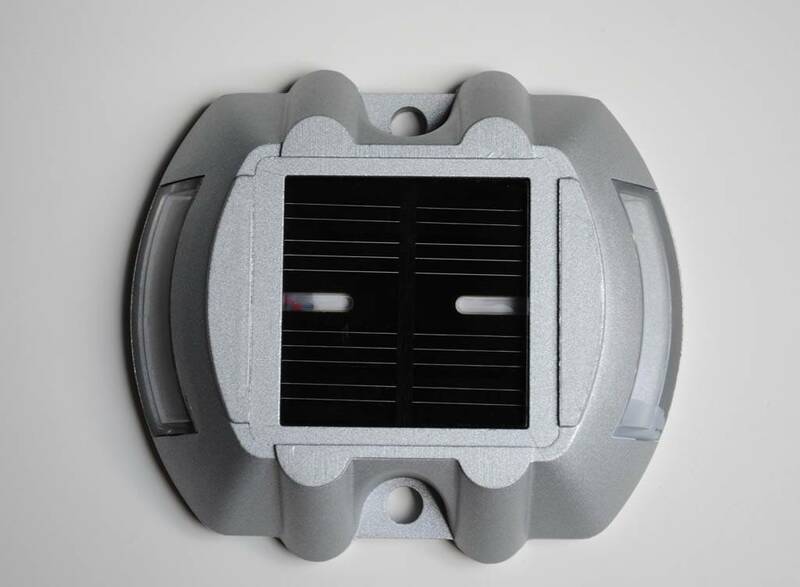 During the day, the battery is charged by the solar panel on the top. 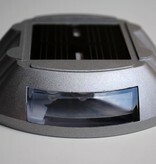 During the night, the LEDs will light for a period of +/- 10 hours. 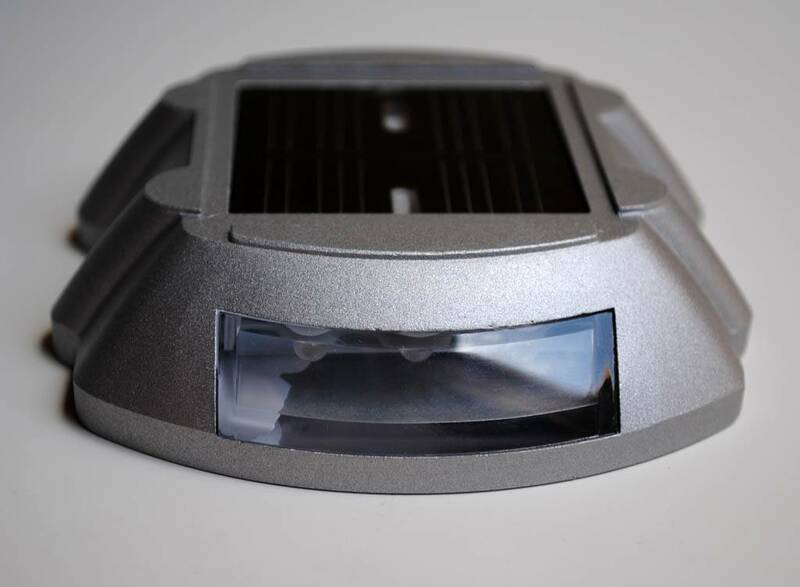 Because the LED lighting works on solar power, this LED Cat's eye is completely autonomous. With a compression resistance of 10 KN, they are also very robust. 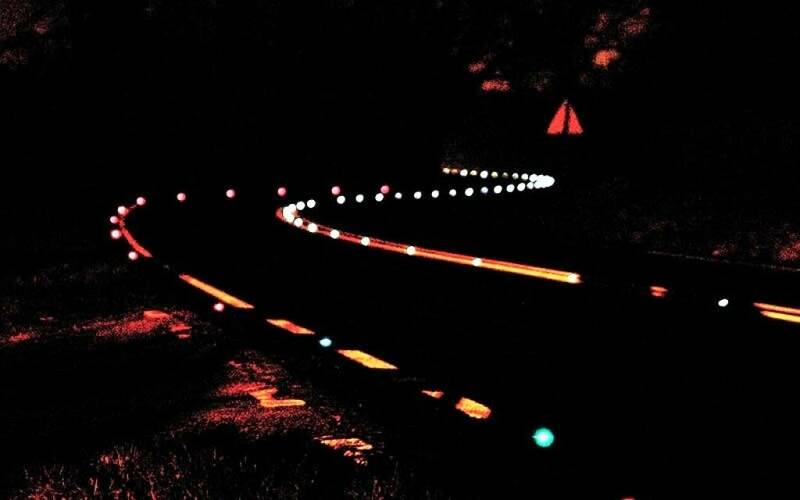 According to research, solar LED road studs can reduce accidents by 70%. 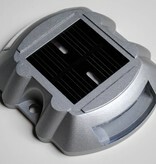 They can of course also be used to light your driveway or for other applications! Lighting duration: 10 uur per night. Size: L 106mm x W 95mm x H 25mm. Zoals aangekondigd een snelle en correcte levering de volgende dag. Twee stuks besteld om te testen als inritverlichting. Als ze voldoen zal hier zeker een vervolg aan gegeven worden. Siamo una ditta di installazzioni stradali e siamo interessati ai vostri prodotti. Si prega di fornire anche il vostro indirizzo e-mail. Poi risponderemo con un offerta di prezzo per questo articolo. 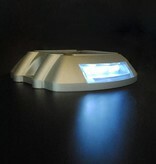 Now received second order, as with first order customer service excellent and very pleased with product. 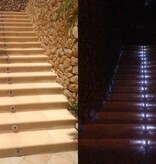 Installed the lights on steps and the effect is perfect. Would be nice to upload a photo of the completed project for future purchasers to see how good this product is. 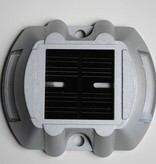 Product Review - Having ordered two as a trial for use on steps. 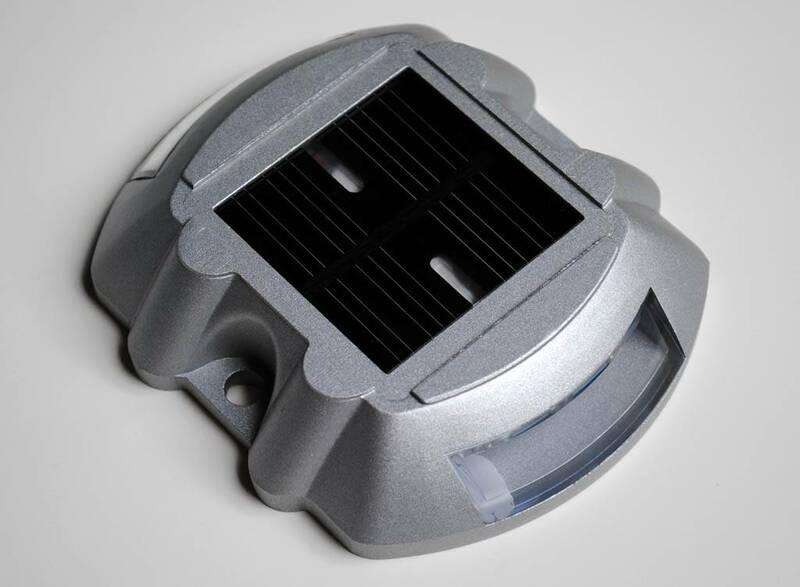 This is a quality product, very rugged and produces a good light source. 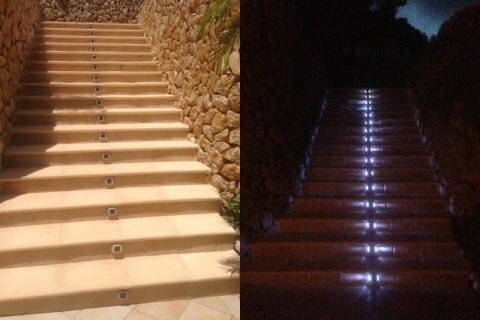 It is my intention to place one stud on each riser in the centre to illuminate a 2m width step. I will be ordering another 13 to complete the job. 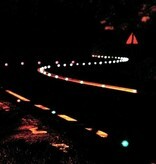 6 reflectors gebruikt voor mijn oprit. batterij gaat lang genoeg mee, na een zonnige dag branden ze vrijwel de hele nacht door. aanrader!